Sometimes I struggle to understand God’s word. This particular reading in Mark plagued me for many years. However, after reading Bonhoeffer’s Discipleship, a light went on for me. Bonhoeffer reminds us that the operative word here is “must.” Christ said he must do all these things and for Peter to suggest otherwise is to deny Christ of his purpose and identity, hence the reference to Peter by Christ: “Get behind me Satan.” Not allowing Christ to fulfill his mission is the work of Satan. Often we Christians fail to let Christ be Christ. Instead of trusting in him for salvation, we would like to help him out a little and trust in our own works. 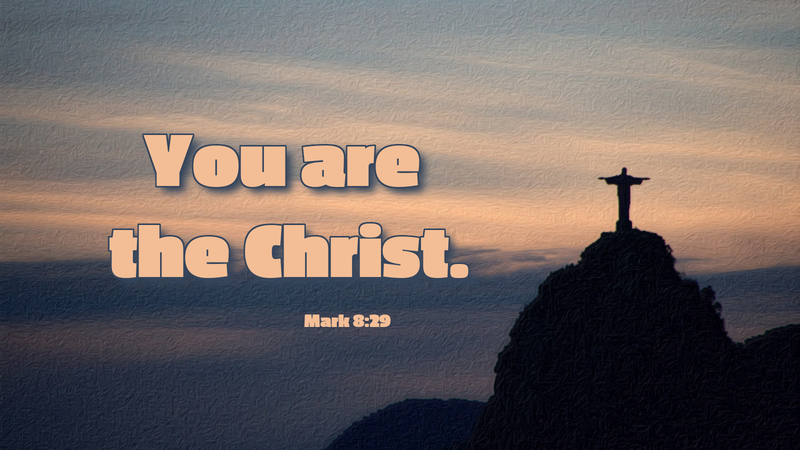 This can never suffice, as only Christ can set us free. Bonhoeffer also reminds us that the operative “must” falls on disciples. Jesus says to his disciples, “Let him deny himself and take up his cross and follow me” — a far cry from the self-absorbed Christianity so popular today. Denying oneself is most difficult and a cross only leads to death. Yes, “must” is the operative word. Prayer: Father, help us to be as steadfast in our must-do-task as Christ. Amen.